My first ever job was working as a waitress for Pizza Hut back when I was 16. I worked after school three nights a week and all day Saturday and Sunday. I really enjoyed it at the time, working with other people of the same age and eating lots and lots of free pizza! From the age of 17, I was working professionally as an actress, supporting my income from acting through various waitressing, bar and hostessing positions. At 21, I began working as a host and tour guide, firstly on the London Eye and then on the Silver Bonito, the tour boat run by the Eye. In 2013, I was offered a full time job running events on another boat owned by Merlin, the Silver Barracuda. 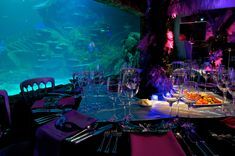 I realised that I really enjoyed working in events and jumped at the chance to move to Merlin Events, looking after events at SEA LIFE London Aquarium, the London Dungeon, STARDOME 4D and Madame Tussauds. A typical day? There is no such thing at Merlin. 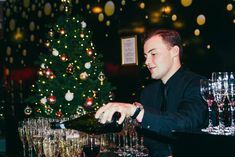 I deal mostly with the operational side of our events across all four venues, so I split my time between the venues and do everything from tidying our storage cupboards to updating all the health and safety documentation for the companies we work with. I’m often in work for 7am to accept drinks deliveries before helping our porter Pat take it through the attraction to our stores and I check that everything is prepared for the next event, ordering all the staff, moving furniture in advance if necessary and counting all the drinks. As my role centres on operations, I tend to end up doing lots of very strange activities and I have accumulated all sorts of tools and equipment to help me. In my desk at the moment is a tape measure, a wrench, several door wedges, some batteries, five rolls of magic tape, four packs of raffle tickets, some Velcro tape and several high visibility jackets. I’ll let you ponder what I get up to with all that! The most interesting event I have worked on to date has to be a Rio themed event for a famous store’s staff party. All the food was Brazilian; I had to buy in Cachaca (Brazilian liquor) especially and they had Brazilian dancers performing throughout the night who were outstanding! It was so much fun and a really enjoyable way to set up for the World Cup. I’d love to work in a historic building, like the Tower of London so companies like Historic Royal Palaces or the National Trust really interest me. Holding events within key historic venues is a great way to generate the money to maintain them properly in all their original glory. If I won the lottery, my boyfriend and I have said we’d love to buy a pub abroad. It would be all my favourite things wrapped up in one: events, wine and sunbathing! I am studying for a degree in History part-time so I spend a lot of my spare time reading one book or another for that. My boyfriend and I try to get away to the countryside every few months for a weekend as London can be quite exhausting so we like to jump in the car and go on a mini road-trip. In the last year we’ve visited Cornwall, the Lake District, the New Forest, the Cotswolds, Somerset, Devon and Wiltshire. Oh, and Majorca!